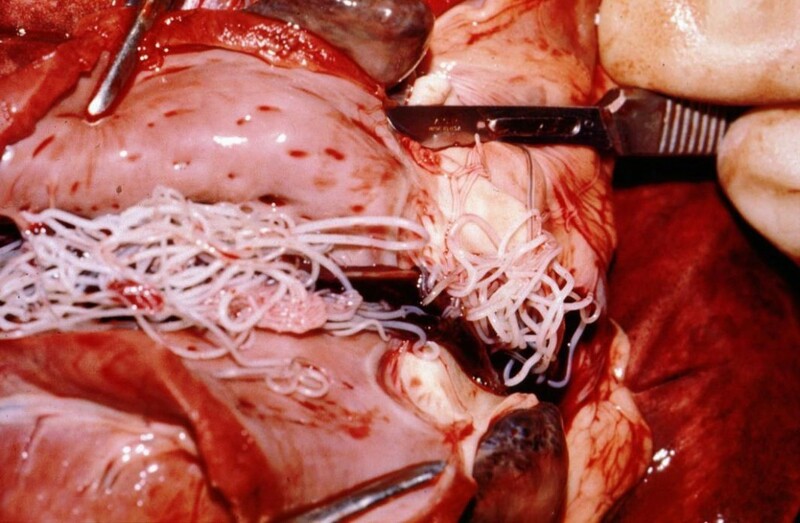 Heartworm is a long, string-like parasitic worm that has the scientific nameDirofilaria immitis. It earns its common name by living in the host’s heart, lungs, and blood vessels. Heartworm can cause severe lung disease, heart failure, organ damage, and death. It is transmitted only through mosquitoes to a variety of species including dogs, cats, ferrets, wolves, foxes, ferrets, sea lions, and in rare instances, humans. Heartworm can affect any breed of dog or cat. Vomiting Versus Regurgitation Why We Vaccinate!